Online reputation management is a huge component of many brands’ online marketing strategies. After all, a majority of people will not make a purchase directly from a brand without seeing what others are saying about the brand online. Through review platforms like Yelp and Google, consumers can quickly get an idea of what to expect. Sometimes, bad reviews strike. For Google specifically, it can be agonizing – and often fruitless – to attempt to get those reviews removed. Negative reviews are often legitimate and permanent, but there are a few situations where Google will remove bad reviews at your request. Let’s take a look at which situations truly merit contacting Google about review removal. Sometimes, people have a bone to pick – not just with your company, but many others as well. One such example of a negative review Google will remove is when it’s obvious that a particular person has left comparably bad reviews for a large number of similar businesses. This person’s reviews can be inspected to see exactly what they’ve reviewed; if you notice that the person is pinging servers with negative reviews on a variety of companies, then there’s a good chance of getting this negative review removed by Google. The likelihood of the person using products or services from all of these businesses – and having a genuinely negative experience – is small enough to usually justify the removal. Sometimes, people think it is a good idea to buy reviews. Besides the fact that it can come back to bite the business, most sites selling these reviews leave evidence behind. One such type of review manipulation is when it is done by the competitors themselves. If you suddenly find one or more negative reviews left about your business – but the same people are leaving positive reviews for one of your competitors, then this is a sure-fire instance of review fraud. Google often reverses these reviews when there is clear evidence of this kind of behavior. Not everybody is as technologically savvy as they’d like to be. Sometimes, mistakes happen. 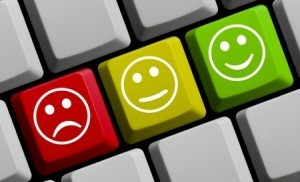 You may have negative reviews where – despite the overall rating – the description implies a positive experience. In other cases, there may be reviews pinging servers for businesses that are clearly not yours, but nevertheless have been left for you. If either of these situations is true, you should immediate contact Google and ask them to reverse the review. While those positive written reviews won’t likely be reversed from negative to positive in terms of score, you’ll at least get rid of the negative markers against your brand. While it can be difficult to get Google to remove negative reviews, there are some instances where you have a reasonably high chance of success. These three examples are common instances where Google will reverse the reviews – but only if you contact them. As always, be sure to evaluate any and all reviews you receive to determine if any could qualify under these situations.